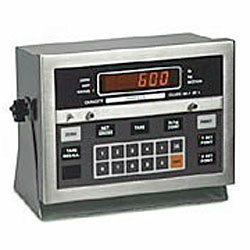 The ever-popular UMC600 model is a solid choice for enhanced weighing capabilities. The UMC-600 features truck in/out with memory for 300 trucks and a full front keypad allows for easy manipulation of a wide selection of customizable features. All other part number configurations are available as special order units.